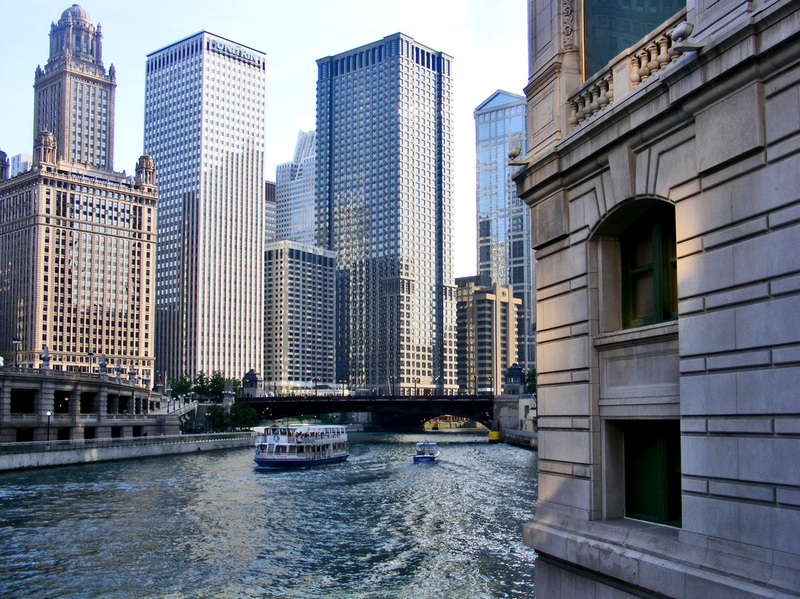 DAY 1: Chicago, on Lake Michigan in Illinois, is among the largest cities in the United States. 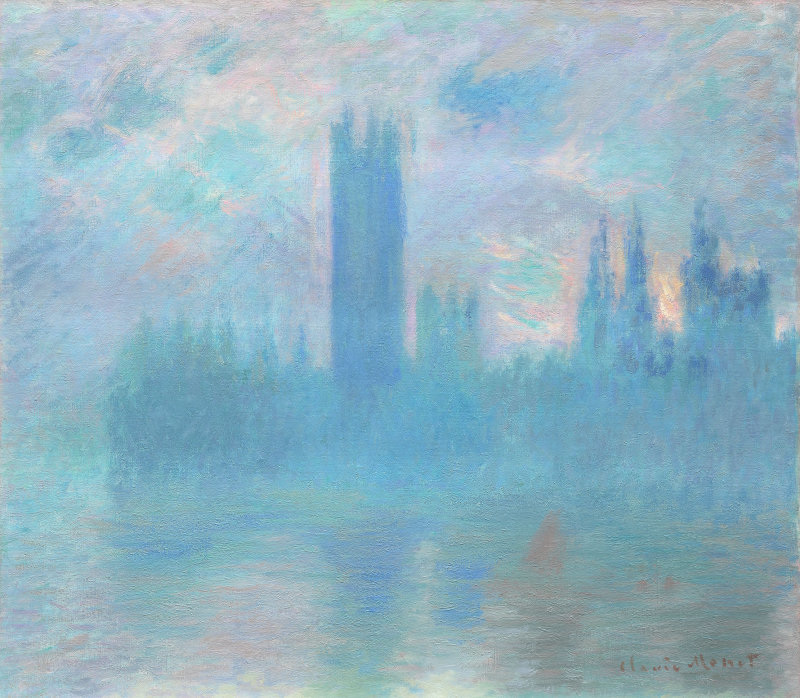 It is known for its bold architecture and has a skyline bristling with skyscrapers. 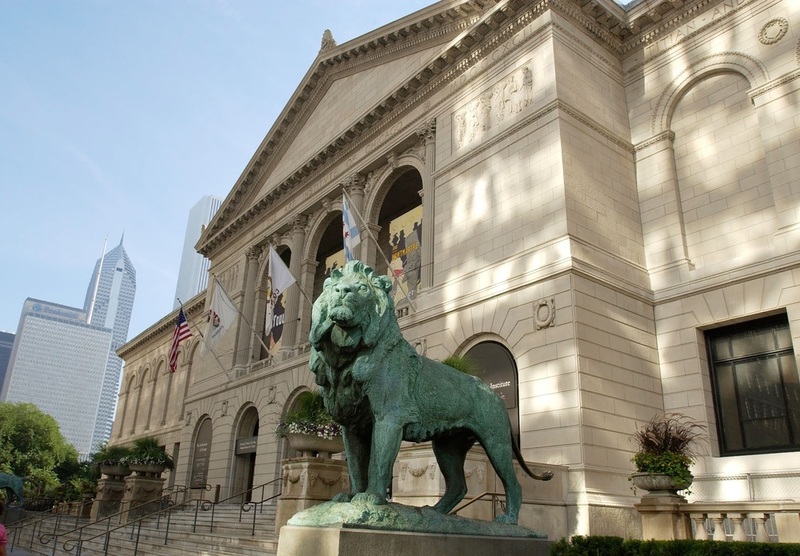 The city is also renowned for its fabulous museums and shopping along the Magnificent Mile. 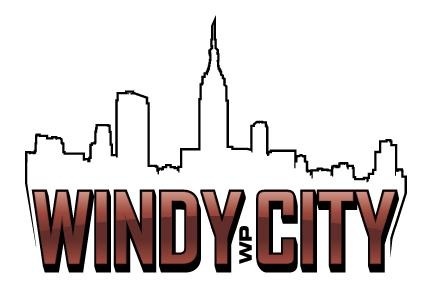 Chicago has the nickname of the "Windy City." 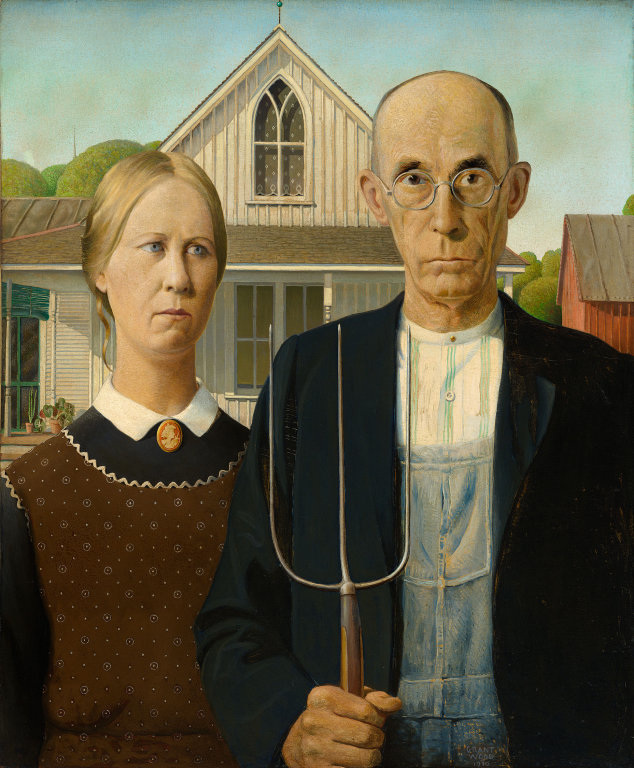 Most people think that refers to the strong, cold spring and winter winds from Lake Michigan, but it actually refers to something that happened in the late 1800's. 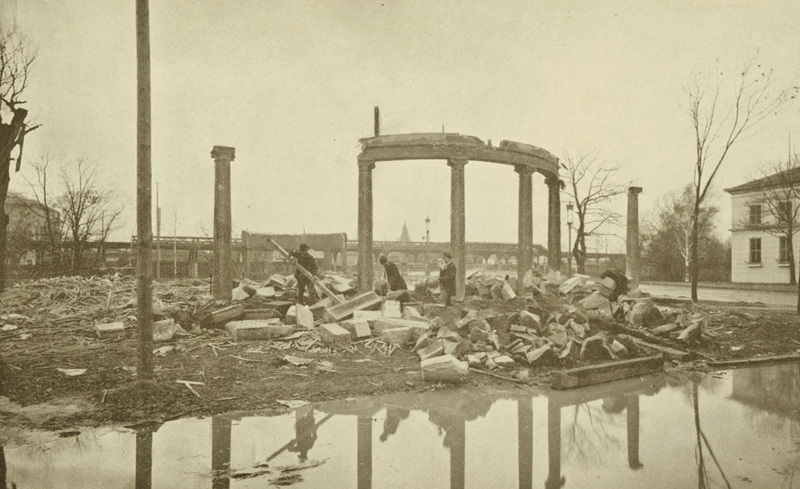 City officials "bragged" about how wonderful the city was, trying to get the World's Fair. 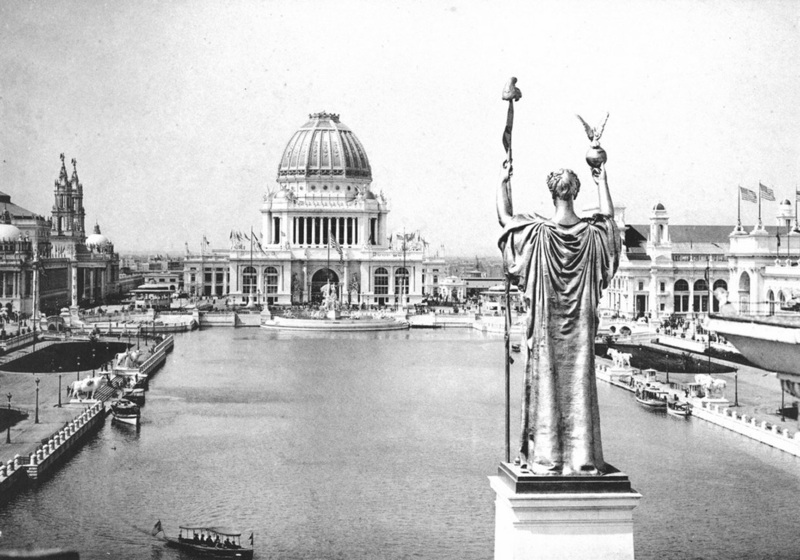 The "bragging" must have worked because Chicago was chosen as the location of the World's Fair in 1893. Even today people who brag a lot or stretch the truth when telling a story are said to be "windy." 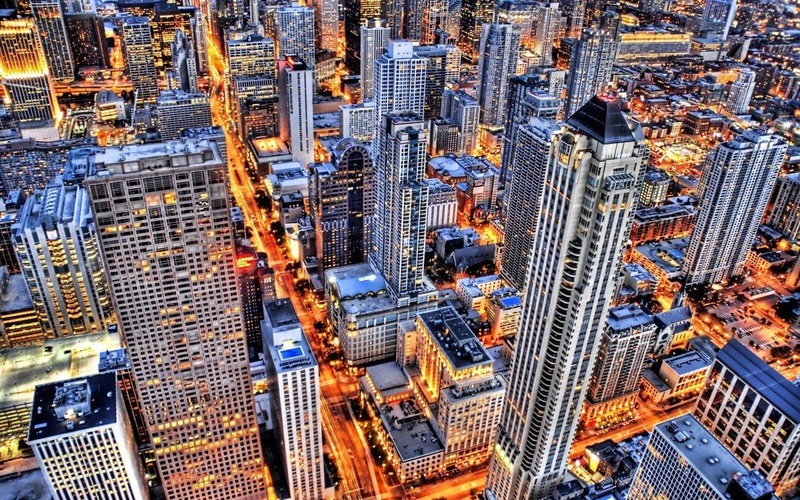 Chicago is a a spectacular city to visit --and that's not brag, but fact! Because staring at the view from the top of a 100-story skyscraper isn't thrilling enough to today's jaded populace, someone came up with Tilt, a ridiculous ride at the 94th floor of Chicago's John Hancock Center, which tips over the entire room you are standing on so you can watch the view while on the verge of falling over. Nice. 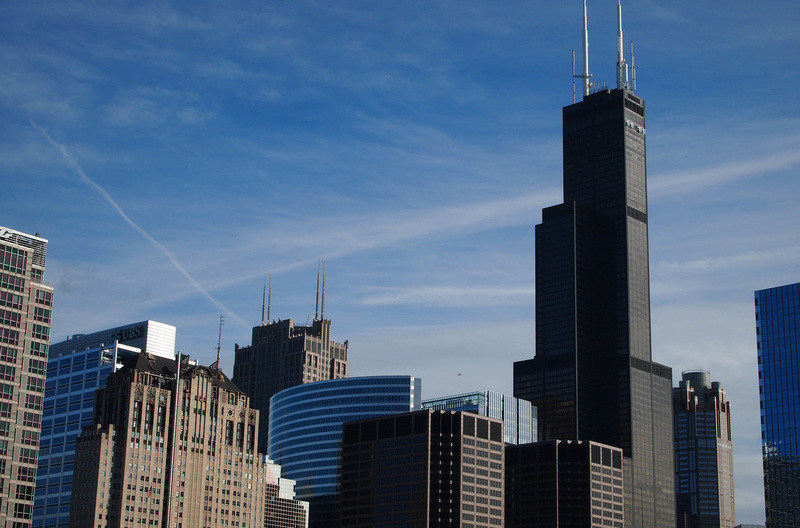 Look at any photograph of Chicago and there it is: the Willis Tower. This building, formerly known as the Sears Tower, says Chicago in the same way the Eiffel Tower says Paris and the Empire State Building says New York. 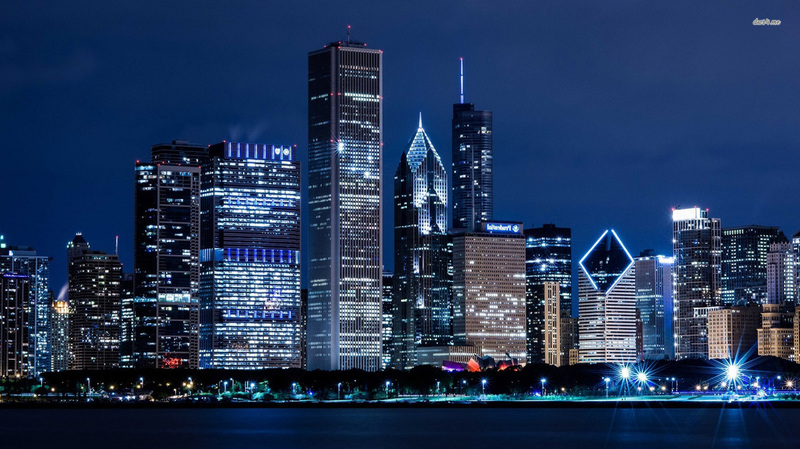 The tallest building in the Midwest, the Willis Tower stands out from the rest of the city’s skyline, even though Chicago includes some of the most spectacular architecture anywhere. 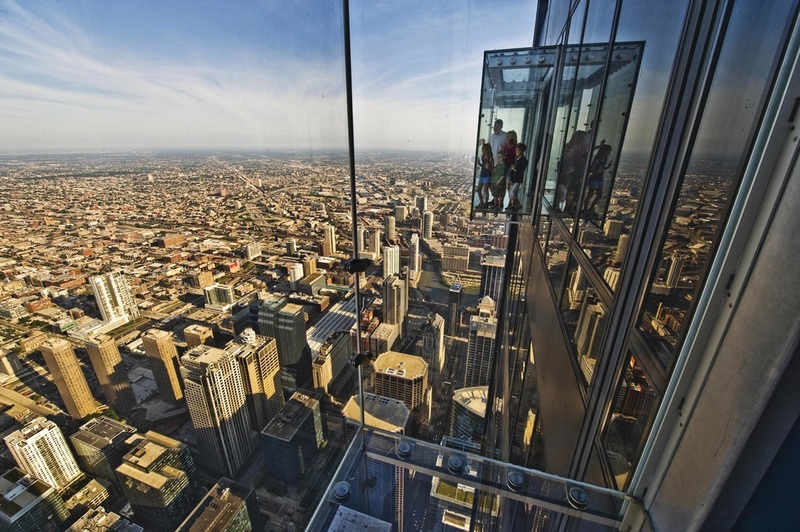 The Skydeck draws 1.6 million visitors a year, many from around the world. 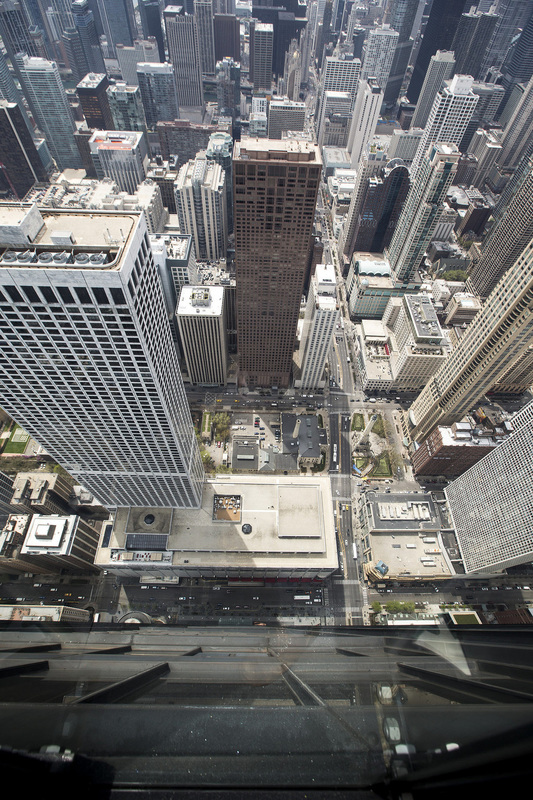 The inspiration for The Ledge came from the hundreds of forehead prints visitors left behind on Skydeck windows every week. Would you want to go out on the Ledge? 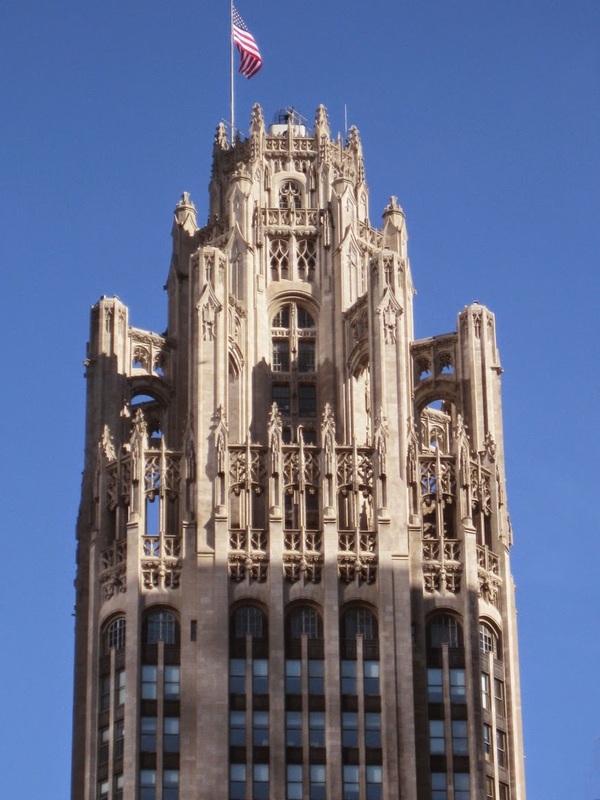 Inspired by the cathedral at Rouen, France, the Tribune Tower exemplifies the way American architects have elevated office buildings to sacred status. 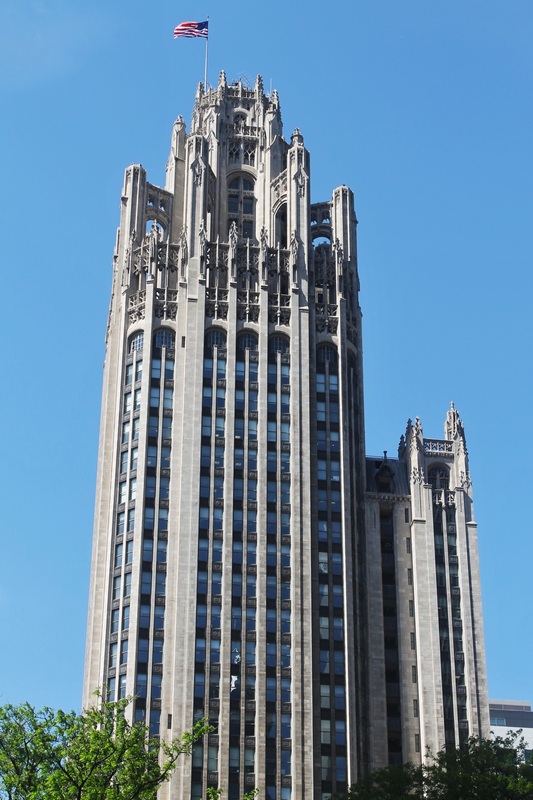 Newspaper publisher Colonel Robert R. McCormick held a $50,000.00 international competition to design, "the most beautiful and eye-catching office building in the world." In some estimations, it succeeded. 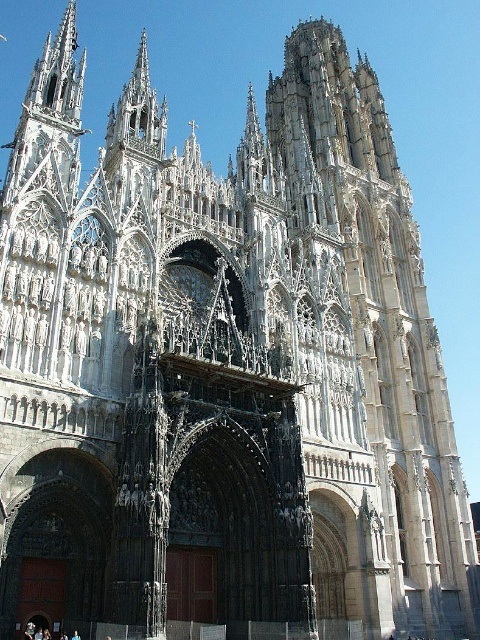 The tower has all of the traditional elements of a skyscraper plus heritage expressed in flying buttresses, spires, grotesques, and more. 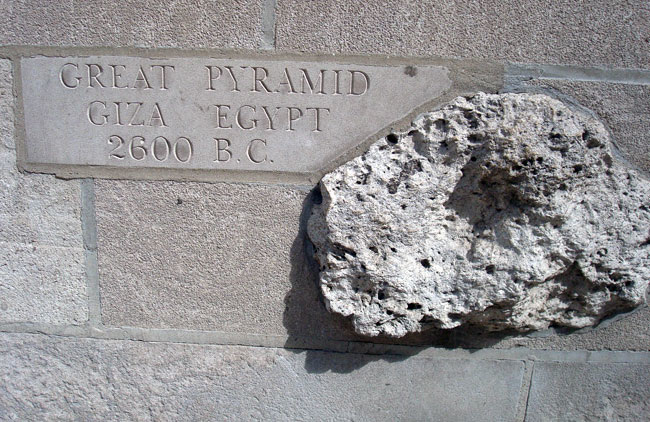 The base of the Tribune Tower contains 120 stones from important locations all around the world, including the Parthenon, in Greece; the pyramids, in Egypt; the Taj Mahal, in India; the Alamo, in San Antonio; the Great Wall of China; and Injun Joe Cave in Missouri. 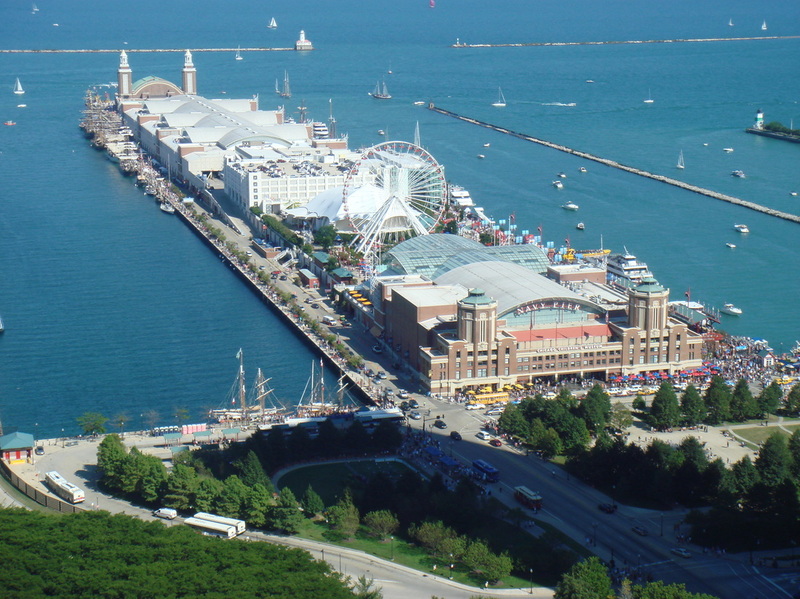 NAVY PIER - You can't truly experience Chicago without a trip to Navy Pier. This 50-acre playground of entertainment, museums, activities, restaurants, and shops is the perfect place for some family fun time. 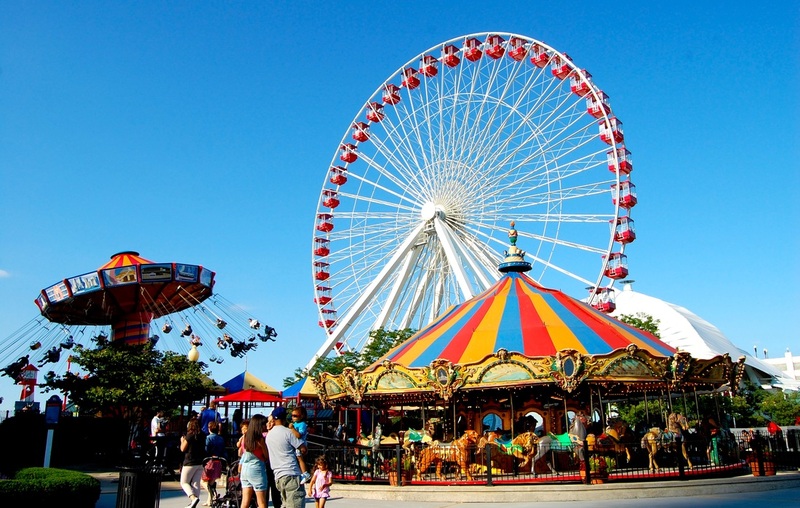 At Pier Park you can ride on the 150-foot Ferris wheel, which offers great city and Lake Michigan views and is open year-round. 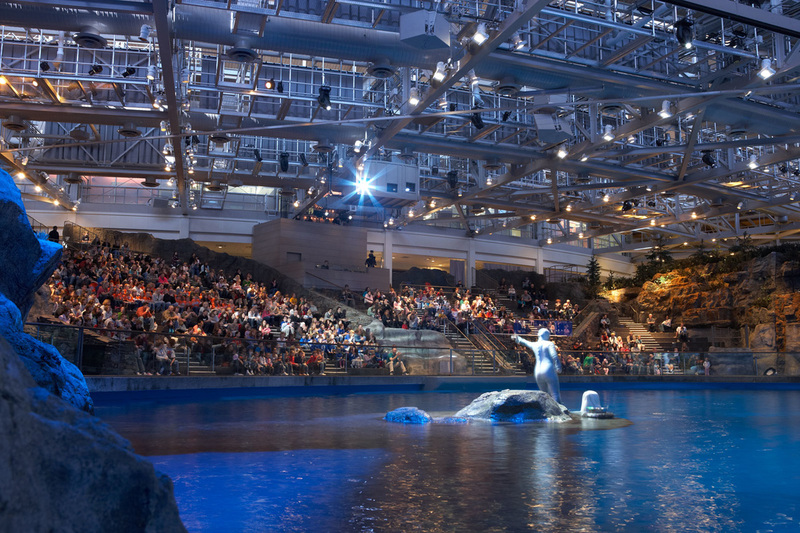 Navy Pier has restaurants, museums, and even an IMAX theater! 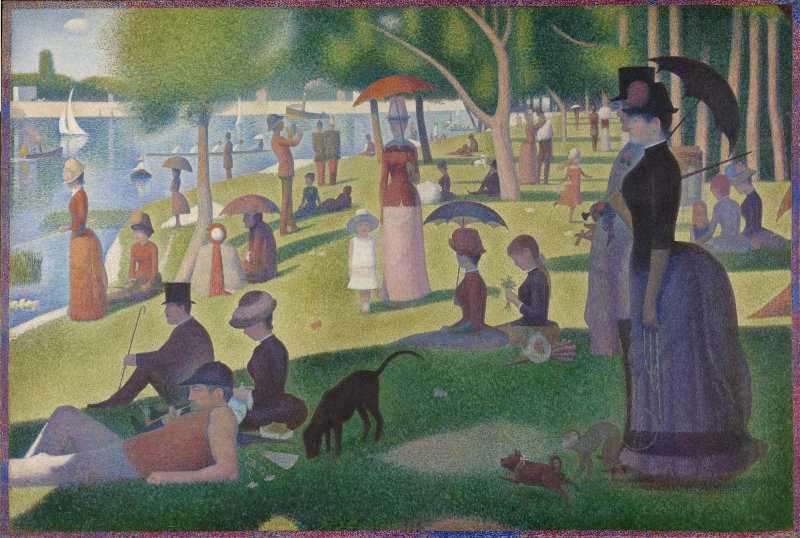 Why is it called NAVY PIER? During World War II, the U.S. Navy used the Pier as a training center for pilots. Today it is a fun playground with lots to do! 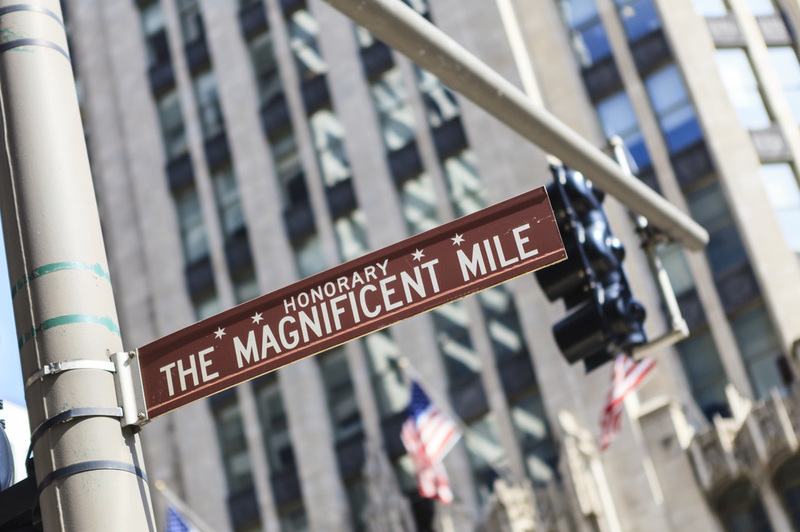 MAGNIFICENT MILE - If you were to see a shopper's guide to Chicago, it would begin and end with the granddaddy of all Chicago retail, The Magnificent Mile. 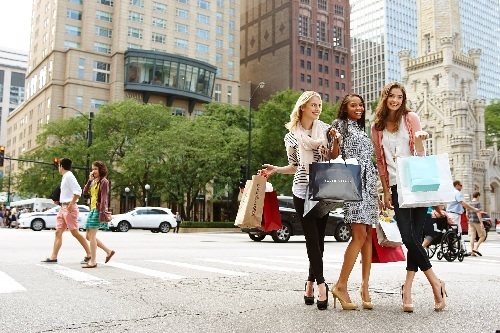 This super modern, history-packed strip on downtown Michigan Avenue leads you from department stores to multi-story megamalls to luxury boutiques to brand name retail chains – all in a row. The shopping on both sides of the street is actually a mile long! You'll even find stores such as: Macy's, Neiman Marcus, Bloomingdales, Saks Fifth Avenue, Burberry, Louis Vuitton, Rolex --the list goes on and on! Bring lots of money because you are going to need it! 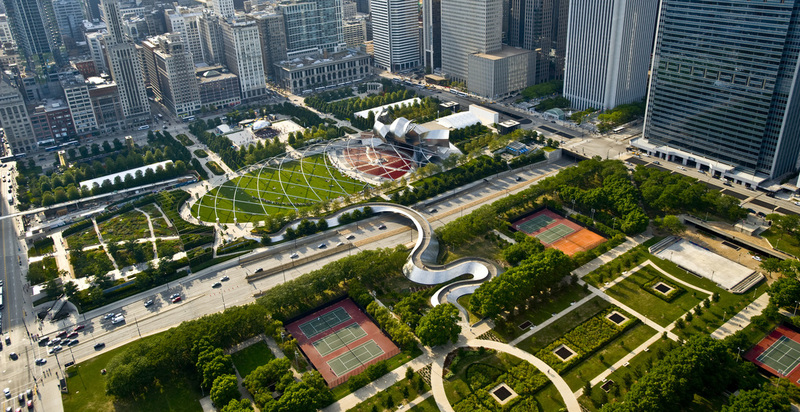 MILLENNIUM PARK - Millennium Park is to Chicago what Central Park is to New York City: a place where locals come to play and visitors come to enjoy. 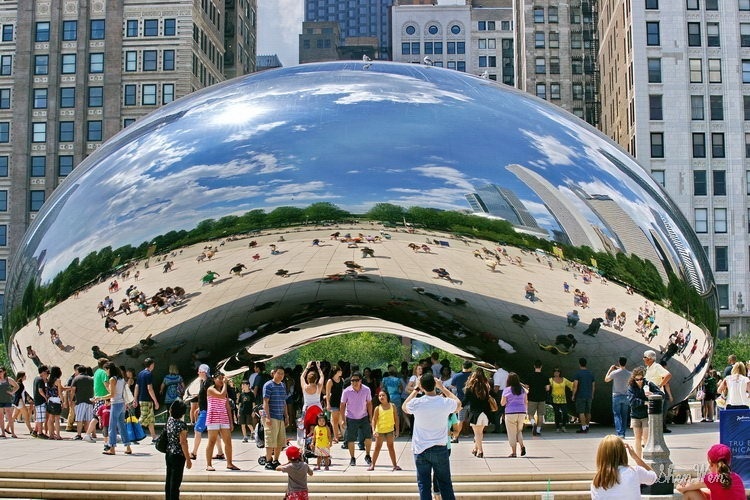 The big shiny sculpture officially called Cloud Gate but affectionately known by locals as “The Bean” is a popular place for photos. The sculpture was forged of 168 stainless-steel plates and weighs 110 tons. It is fun to walk around and under this giant structure to see your reflection change --it's like looking in a gigantic version of one of those fun house mirrors. It is also fun to see all the skyscrapers reflected in the sculpture. 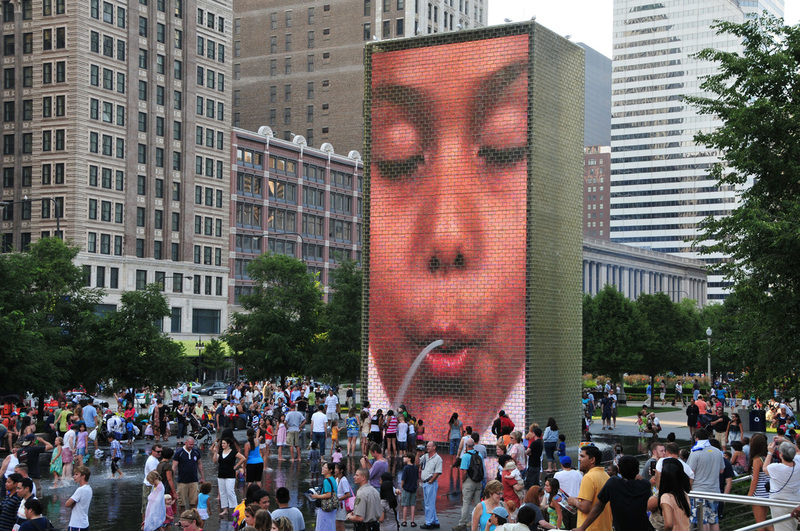 The Crown Fountain display images of the faces of Chicagoans. From mid-spring through mid-fall each year, a spray of water comes from the mouths of the faces on the tower, forming a shallow reflecting pool along the 200 feet of black granite. Kids can’t resist running and splashing there. 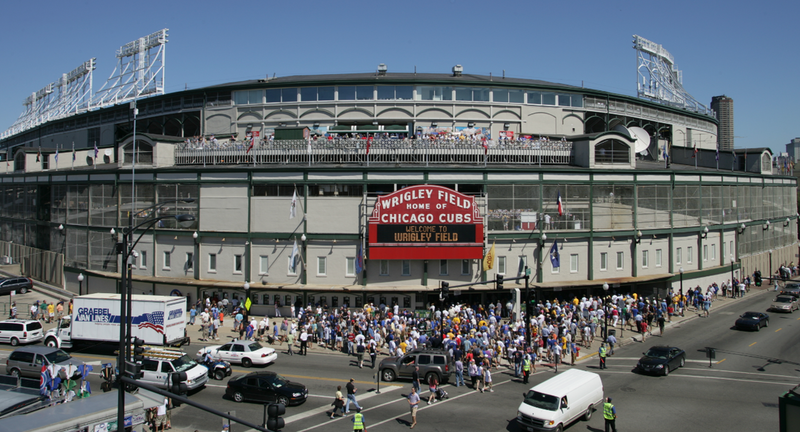 WRIGLEY FIELD - is the second oldest ballpark in our country. It is the home of the Chicago Cubs who are never known as a good baseball team. But that doesn't matter. People in Chicago love Wrigley Field and they love the Cubs. Getting tickets for the game is almost impossible. 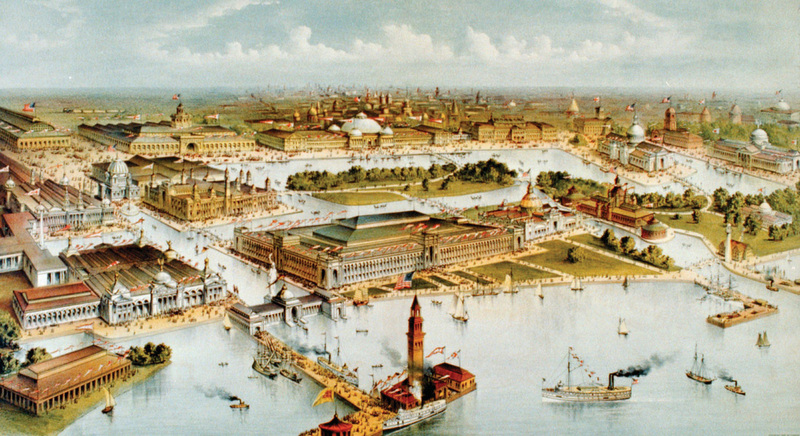 Over 120 years ago, the gates opened at the World’s Columbian Exposition, also known as the Chicago World’s Fair. Over the next six months, more than 26 million visitors would flock to the 600-acre fairgrounds and 200-plus buildings full of art, food, entertainment and technological gadgets. The fair was meant to celebrate the 400th anniversary of Christopher Columbus’ first voyage to the New World, however it forever came to be an remarkable event that saw many firsts. Some of the many "new" things first seen there were Juicy Fruit gum and the dishwasher. 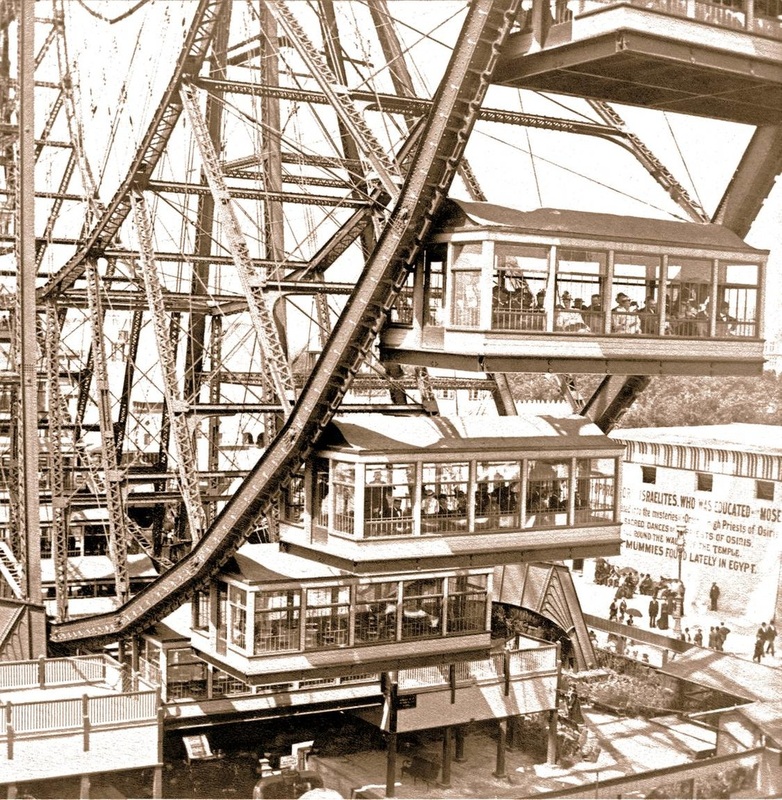 Another first was the ferris wheel --people didn't know what to think of it! Nearly 50 foreign countries and 43 states and territories had huge pavilions that showed the food and history of each place. Philadelphia even sent the Liberty Bell. Norway sailed a full-sized replica of a Viking ship across the ocean for the fair. 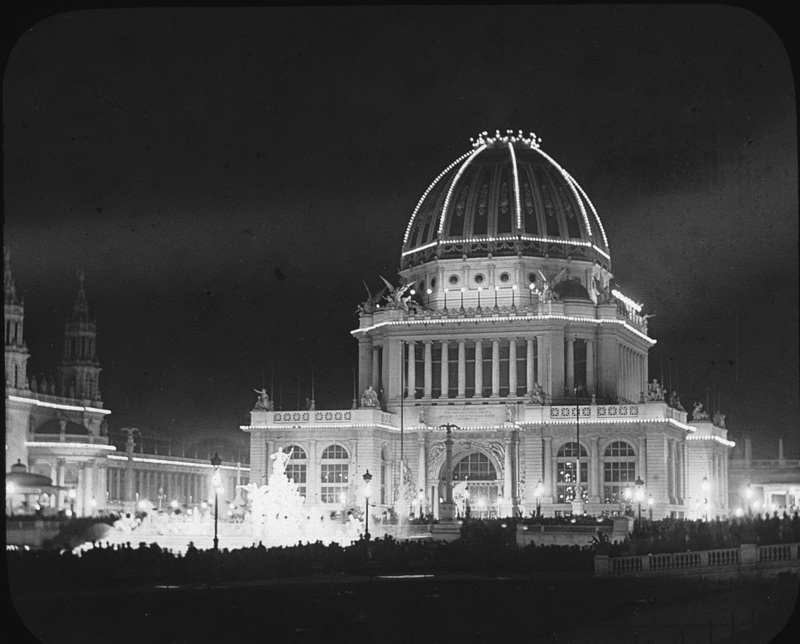 The Chicago World’s Fair quickly became known as the White City for its buildings with white stucco siding and its streets illuminated by electric lights. Now are you ready for a shocker? After the fair was over all the beautiful white buildings were torn down. 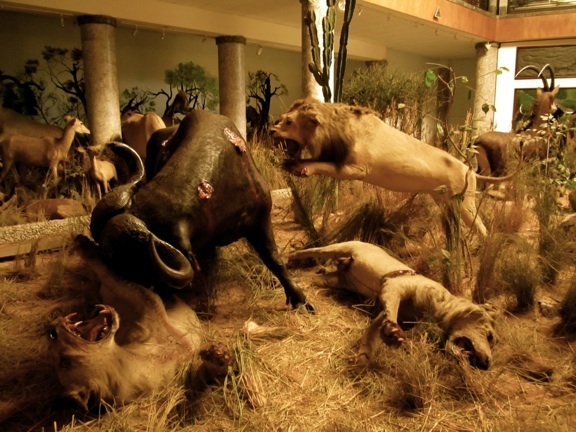 The Field Museum in Chicago is one of the most renowned natural history museums in the United States --natural history means it is about things that once lived. 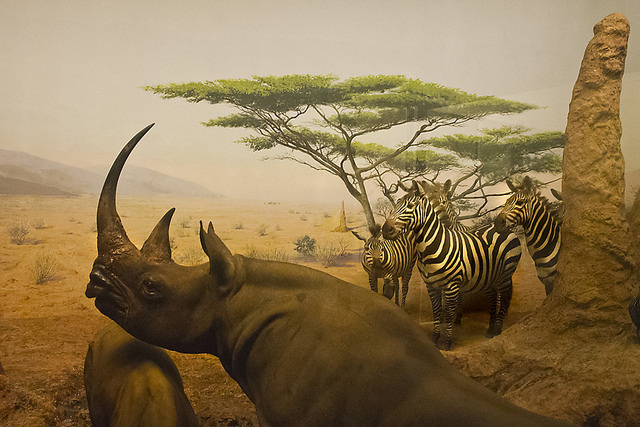 Permanent exhibits at the Field Science Museum Chicago include an exhibition on dinosaurs and Native Americans; in fact, there are more than 20 million different artifacts and specimens, only a handful of which are on display at any given time. 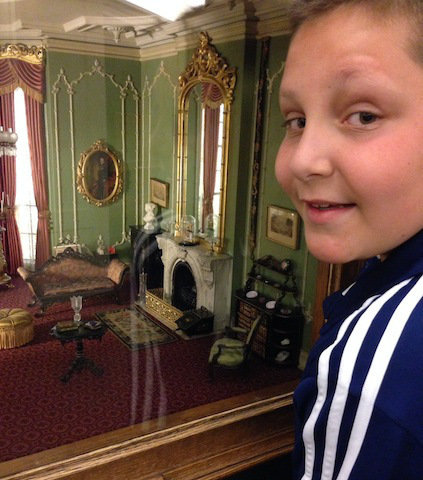 Be sure and see the dozens of complex dioramas in this popular Chicago museum. 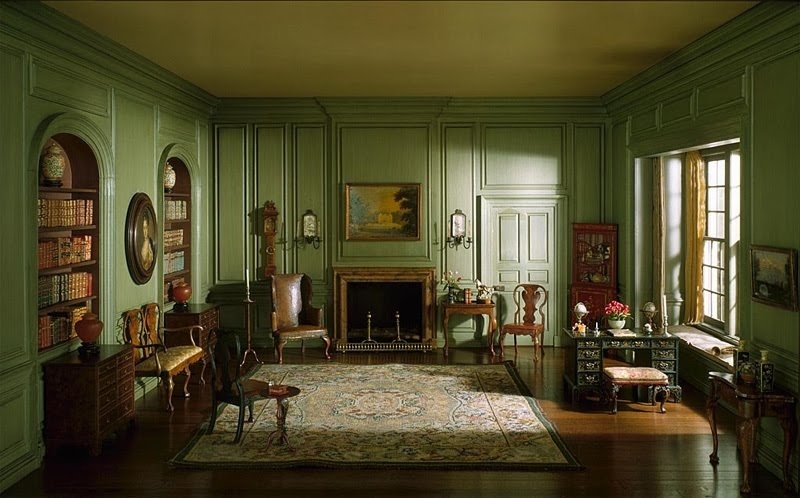 The Chicago Field Museum has a collection of unbelievable miniatures of Early American rooms that will amaze. However, the star is Sue! 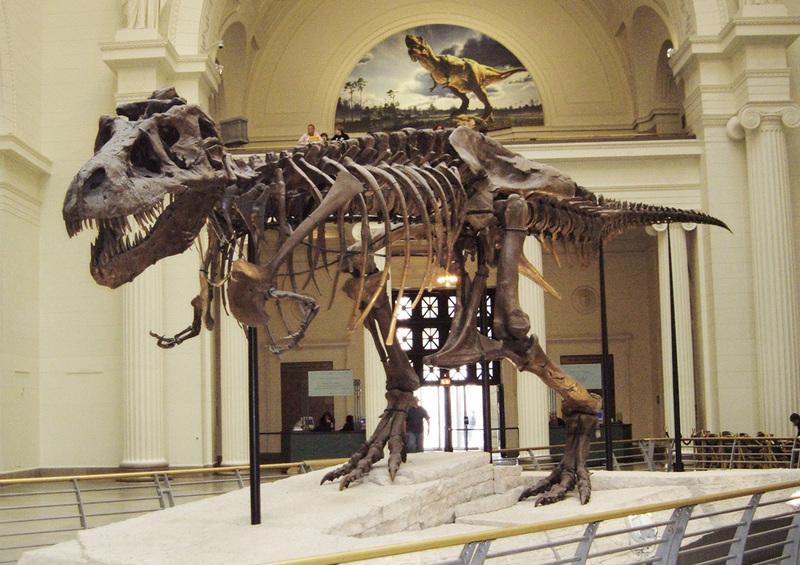 No dinosaur in the world compares to SUE—Sue is the largest, most complete, and best preserved Tyrannosaurus rex ever discovered. 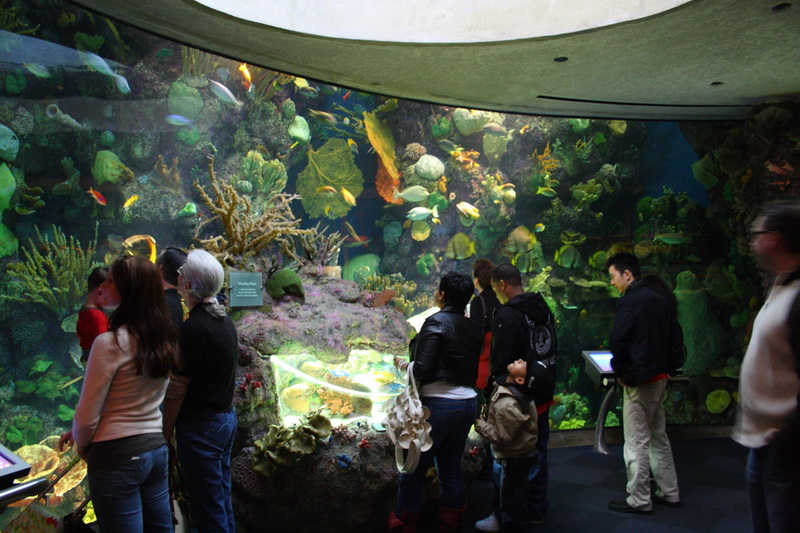 Shedd Aquarium -Chicago is a long, long way from the Atlantic and Pacific Oceans, and a long way from the Gulf waters of Mississippi and Louisiana. 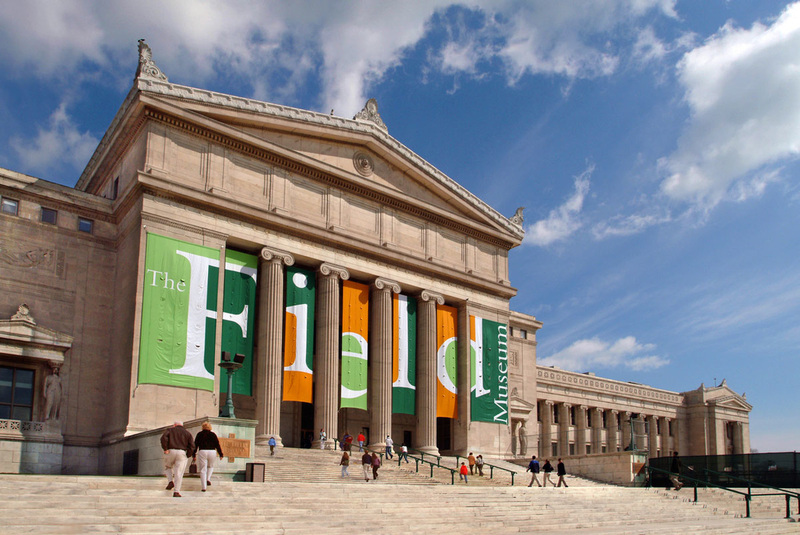 That's where the Shedd Aquarium comes it. 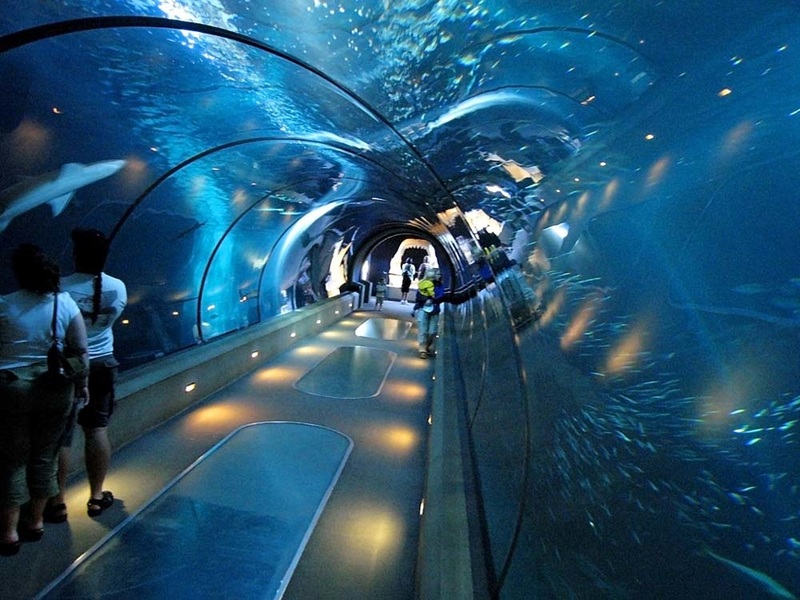 It makes it possible for visitors to see sea creatures in a very real feeling environment. 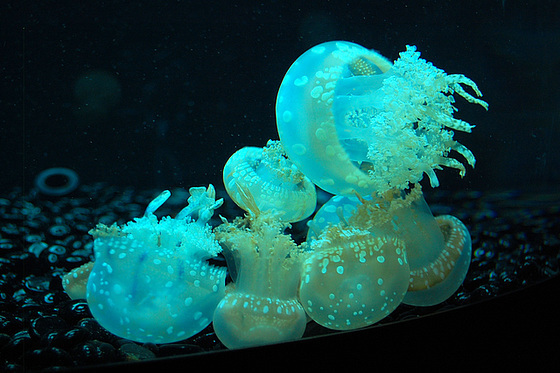 Everything from killer whales to sharks to jellyfish and then some is found at the Shedd Aquarium!